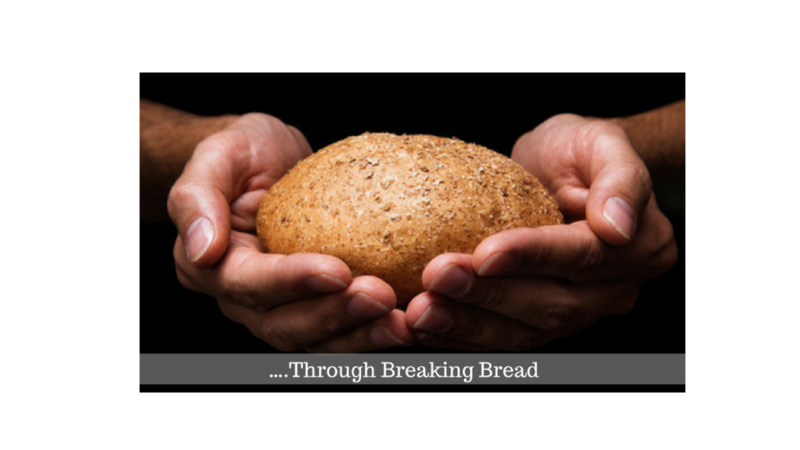 In my meditations of late, the term “breaking bread” keeps wafting to the surface and so I begin to reflect on the power of that phrase. When I think of breaking bread my first thought goes to sharing a meal. My second thought lies in the power of sharing that meal – of creating community – whether it is connecting with just yourself in the quiet space of eating on a bench outside, or sharing a meal with one other or a group of people. There is a slowing down and connectedness that occurs in the sharing of a meal that is impossible to experience while simply eating. Smell your food, notice the colors on your plate. Experience the taste and the people you are with. Put the phone down! This week find time to break bread with someone you have not connected with in a while but who you think about periodically. Set a “no phone” rule at the family dinner table. Take a colleague or team member out to lunch for no other reason than to connect and learn about what matters to them. Breaking bread provides the intimate space to get out of our heads and into our hearts with one another. Try it and let me know the impact on you and on those with whom you choose to break bread.